+ Oliver Beener, Phil Guilbeau, Wallace Davenport u.a. 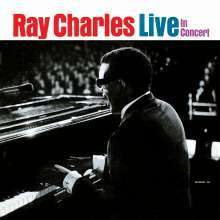 Dieser Live-Klassiker von Ray Charles von 1964 erscheint weltweit erstmals auf CD. Als besonderer Leckerbissen sind sieben bislang komplett unveröffentlichte Tracks dabei! Zusammen mit einer swingenden Bigband unter der Leitung von Sid Feller brachte Ray Charles das Shrine Civic Auditorium in Los Angeles mit seinen Hits zum Kochen. Dank 24-bit-Remastering ist es jetzt als wäre man selber mit dabei! In the half-century between his earliest recordings in the 1950s and his death in 2004, Ray Charles ascended to icon status by leaving his mark on virtually every form of American popular music that emerged in the latter half of the 20th century. Nowhere was this more evident than in his live performances, where one was likely to hear shades of blues, soul, R&B, jazz, gospel, country, and more in a single evening - indeed, sometimes in a single song. To put it simply, the Right Reverend did it all. All of these subtle shades and styles are evident in Concord Music Group's reissue of Ray Charles Live in Concert. 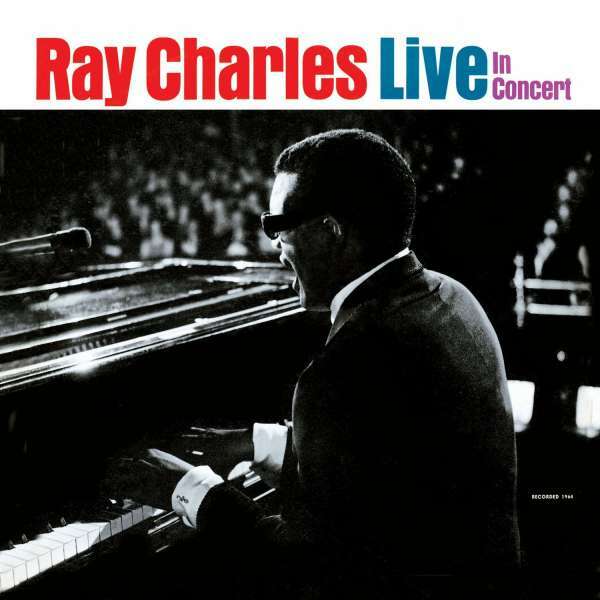 Originally released as a 12-song LP on ABC-Paramount in early 1965, Live in Concert captured Ray at the Shrine Auditorium in Los Angeles in September 1964. More than four decades later, the CD reissue brings additional depth and perspective to the 1964 recording with the help of 24-bit remastering, seven previously unreleased tracks and extensive new liner notes that provide additional historical context to what is already considered a pivotal recording in Ray's overall body of work. "There could be no more uplifting live musical experience than digging Ray Charles and his mighty orchestra in their prime," says roots music historian Bill Dahl. Indeed, the 15-piece orchestra backing Ray on this date - assembled just a few years earlier in 1961 - boasted no less than a dozen horns, including formidable saxophonists David "Fathead" Newman, Hank Crawford, and Leroy "Hog" Cooper, all of whom had been with Ray since his days as a leader of smaller combos. "This amazing aggregation," says Dahl, "was every bit as conversant with the intricacies of modern jazz as with the gospel-blues synthesis that Brother Ray pioneered during the mid-1950s, when he began accruing serious cred as the father of what would soon become known as soul music." Chris Clough, Concord's manager of catalog development and producer of the Live in Concert reissue, notes that the Shrine Auditorium performance took place at a transitional moment in Ray's career, just as he was transcending the confines of R&B and entering the mainstream by demonstrating a firm grasp of various other genres. "He'd made his ascendance in the early '60s, and he had the world at his feet by this time," says Clough. "He'd basically invented soul, he'd done R&B, he'd conquered country and he was on his way to becoming an American icon." In the span of 19 songs, Live in Concert illuminates the route to that destination. Ray wastes no time taking his audience on a ride from jazzy big band groove of "Swing a Little Taste" to the Latin-flavored "One Mint Julep" to the blues-gospel hybrid of his classic "I Got a Woman." Although his live rendition of "Georgia On My Mind" on this date didn't make the cut on the original LP, the song is a standout track on the reissue, thanks to his complex organ runs and the flute lines moving in counterpoint with his rich vocals. Clough considers the yearning "You Don't Know Me" and the previously unreleased "That Lucky Old Sun" to be among the high points of the recording. "It sounds like he's really baring his soul on those two tracks, and they just sound incredible," says Clough, noting that Ray was unaware that tape was rolling during this performance. "This particular date was at the end of their tour, and the performance seems a little loose as a result - in a good way, and in a less slick way." Further in, the rousing "Hallelujah, I Love Her So" is driven by a gospel groove and embellished with a sax solo by Newman that closely mirrors the original 1957 recording. The result is a familiar hit for an audience that's more than ready to reinforce Ray's foot-stomping beat with handclaps. The sly and swaggering "Makin' Whoopee" is delivered completely off the cuff, with drummer Wilbert Hogan, bassist Edgar Willis, and guitarist Sonny Forriest improvising an accompaniment behind what Dahl calls "Ray's luxurious piano and breathy, supremely knowing vocals." By all accounts, Ray spontaneously inserted the song into the set in response to the negative press he'd received overseas about his private life. In the home stretch, Ray introduces the Raeletts, the female backing vocalists who served as his foil for some of his biggest hits. Together they work their way through "Don't Set Me Free" (with Lillian Fort stepping forward for a duet with Ray), the comical "Two Ton Tessie" and the torchy "My Baby" before climaxing with the churning "What'd I Say," a song tailor-made to stoke any room to a fever pitch. A huge piece of the Ray Charles legacy is his mastery of any style he touched, and his ability to make it his own in a way that no other artist could - powers that can only come from an innate sense of adventure and spontaneity that are fully evident in Ray Charles Live in Concert. "Few performers were less predictable onstage than Ray Charles," says Dahl. "And nobody did it better."